The Outer Banks would play a crucial role in two more wars just decades after the Civil War. During both World Wars, German ships and U-Boats would lurk off the coast of North Carolina, causing numerous skirmishes on American territory, and providing more victims for the Outer Banks' Graveyard of the Atlantic. One of the most famous Life Saving Station rescues occurred during World War I, and began when a British Tanker, the Mirlo, was traveling north off the coast of the Outer Banks in August 1918 to bring gasoline and oil to American troops joining the allied forces. En route, and just off the coast of present-day Rodanthe, the Mirlo was split in two by a torpedo from a lurking German U-Boat, and the tankard burst into flames, with the oil and gasoline igniting instantly across the water. 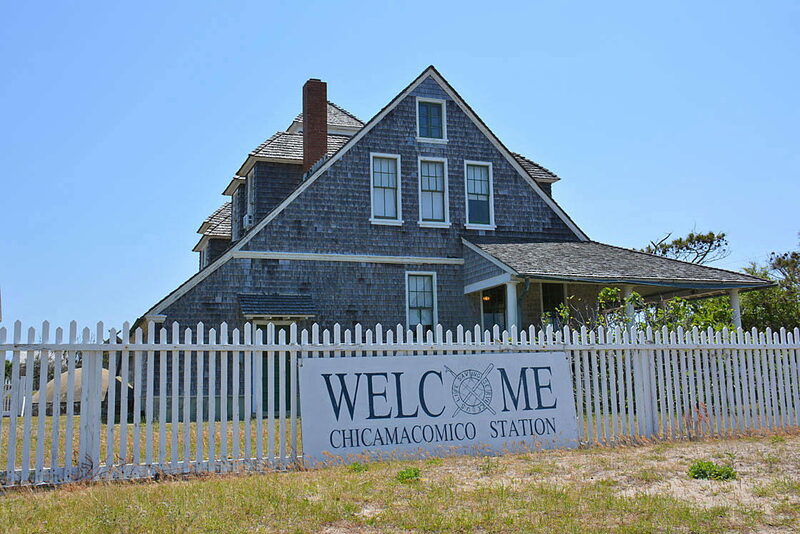 The crew at the Chicamacomico Life Saving Station saw the flames from miles away, and launched their boat off the coast, past the rough breakers, and into miles of burning oil. Extracting men from the flames, the crew members were able to rescue 42 of the 51 British sailors on board, and were awarded both the American and British American Crosses for bravery. While a number of casualties and attacks occurred off the Outer Banks during World War I, World War II would prove far more costly, as many experts believe the biggest defeats of the American Allies happened not in Europe, but right off the coast of North Carolina. The sheer number of causalities inflicted by the U-Boats gave the Outer Banks the unfortunate nickname of "Torpedo Junction," and the area became a watery grave for countless soldiers during both World Wars. The British Cemetery on Ocracoke Island pays homage to the British Sailor who died during these attacks, and the graves of the Unknown British Sailors in Buxton Woods also honors the fallen off the Outer Banks. The shipwrecks from both World War I and World War II have since been explored by amateur divers and archeologists alike, and their finds can be viewed first hand at a number of local museums, such as the Graveyard of the Atlantic Museum in Hatteras Village. This museum offers a detailed history of the Outer Banks' role in both world wars, and is worth a visit by any history buff who wants to explore the lesser-known military significance and history of the Outer Banks.